Prominent & Leading Exporter from Jaipur, we offer paper shopping bag, bags with glitter work, paper handle bag and cord handles bag. 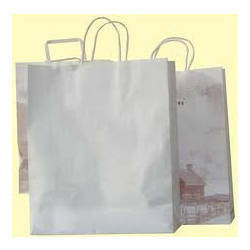 We have employed a team of qualified and skilled professionals who strive to provide a huge range of Paper Shopping Bag. These products are high in quality as it is tested as per the international standards to ensure better performance without any flaws. Manufactured from raw material that is supposed to be the best in the industry, these products have a long service life with very low maintenance. Custom-made as per the needs and requirements of the clients to make sure utmost satisfaction. 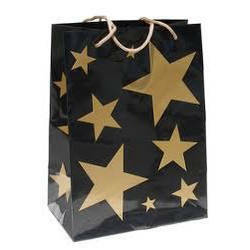 We are counted among the leading manufacturers, suppliers and exporters of a wide array of Bags With Glitter Work. The offered range of bags is manufactured using high-grade paper keeping in mind the exact requirements of clients. Latest machines are employed by our experts in the manufacturing process following industry standards & norms. 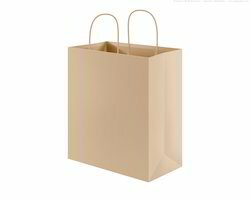 With the help of our distinguished professionals, we have been able to bring forth an impeccable array of Paper Handle Bags. These bags are made using excellent quality paper at our state-of-the-art manufacturing facility. Post-production, these products are thoroughly inspected on certain parameters of quality in order to rule out every possibility of defect. We are the proud manufacturer and supplier of a wide array of Cord Handles Bag. These products are made of raw material that is procured from the best of vendors in the industry. 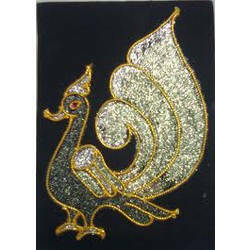 These products are available with us in various sizes, which is customized as per the demands of the clients. Designed in vibrant colors and shapes, these bags are in compliance with the international quality standards. Looking for Paper Bags ?